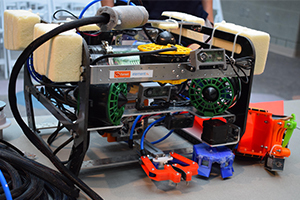 Since last year, I have been leading the first team from England to enter the MATE ROV, an annual, international competition to design and build an underwater Remotely Operated Vehicle (ROV). The competition focuses on developing technical and entrepreneurial skills. All participating teams are required to act as a company and to approach the competition as a project provided by a client. Teams are also required to raise their own funding, market their vehicle, and to carry out outreach activities. I decided to join the competition to put the skills that I gained from SELA into practice, and to gain more experience in managing people and resources within a technical environment. Over the course of the project, I learned a lot about what it takes to be a successful leader and I will summarise some of those key lessons in this post. At the start of the project, this year, I led a campaign to recruit new members into the team. This campaign focused on getting the people with the best skills and technical competencies. The chosen individuals were given tasks right away; however, I noticed that some of them did not take ownership of their work. My solution to this problem was to better communicate the project’s vision by explaining the importance of the work that we do and its impact. As a result, those members engaged with the project and their tasks on a much deeper level. This taught me that the key to an effective team is a clear and well-understood vision. As the team members developed a deeper connection with the project, I was able to delegate more tasks to them. I found this to be particularly difficult at the beginning because I was concerned that the work might not be done in the way that I expect; however, I quickly learned that this is a much more effective way to work and it allowed me to focus on other important aspects. This experience taught me that I should always aim to choose good team players, clearly communicate the vision and goals to them, and trust that they will deliver an excellent product. In order to enable the work carried out by the team, a big part of my role involved securing funding and sponsorships to finance the resources and materials needed for the project. Due to the fact that there are not many subsea companies around Sheffield, I often found myself interacting with companies and people from other related fields to discuss potential opportunities to work together. This taught me that entrepreneurship involves a lot of creativity and unconventional thinking. This year will be my last year on the project; however, before I leave I would like to ensure that the team will carry on with other members. To do this, I have been trying to cultivate long term relationships with our sponsors and people throughout the University. This is to ensure that future members have the resources and support network that they need. This taught the importance of considering the future impact of every decision that I make, to enable sustainable opportunities. The international finals took place on the 21st to the 23rd of June in Seattle, WA, USA. 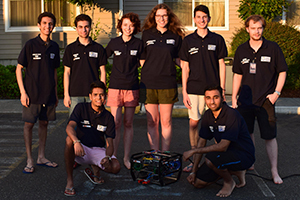 The team achieved the 14th position out of 28 teams from all over the world. This would not have been possible without the support of SELA who sponsored myself and other team members to travel to the competition.